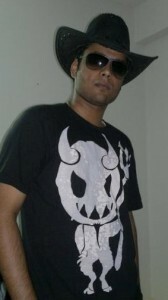 Another nomination from the community, this month we get to know Mohit! We received SO many nominations for him, probably breaking all previous records. Learn more about the Player Spotlight program at our website and nominate players by sending an email to community@illyriad.co.uk. The player who gets the nomination can choose between a t-shirt from our shop or from 1200 Prestige! So, to the interview! Hello, My name is Mohit and I am glad to be given an opportunity to be in the Spotlight. I really appreciate the efforts of all those who voted for me, thank you all! Oh yes ! Well, I don’t know if that is to be discussed here! But I like to go out with friends, enjoy the moment of laughter with them but most of my time is taken by gaming, work or sleep. As many have said, I also feel the same: it’s the Community. It keeps you glued to the game. General chat can do wonders for you if you are having an off day. Then I have the amazing members in my alliance who make me feel like being in their shoes and doing things like they do ( not talking about you Hoover 😛 lol! ) That is an amazing factor if you realize they have become a family in another world, even if you don’t want to achieve something in the game you want to come online to meet them or chat with them. I love that aspect of the game. I believe through this game that I have made friends all over the world, with whom I may or may not meet in my real life but will be sharing a beer or coffee with them online here in Illy. The community is of course one of my favorite aspect of the game. I also love the fact that this game continues to bring something new to the table every now and then. True, this process has slowed down, but heh, this is the favorite and most awaited aspect of the game: something new and awesome from the developer team ! Being in the spotlight is the proudest of them all, for the very simple reason is that many people voted for it. It was truly an amazing surprise and I want to send thanks to you guys again! 🙂 The second-best moment was when I was given an opportunity to share in leading Bane. It was an honor and really made me feel proud. First I would like to thank the devs for creating a vision of what we can expect, without it I couldn’t answer this question. I am looking forward to the new schools of magic and hope that it gives a new dimension to the game. Then I am waiting for the use of all the extra t3 resources (advanced herbs, anatomies and rare gems) that do not have any use at the moment, and I wonder how their use will affect the game. The Live Factions are always a thing that intrigues me. They could give alliances and their diplomatic work a new dimension and hopefully will make quests more interesting. In my view, the defense mechanism needs some improvement. The game supports the attackers too much. Then I would love to see a draft option in the mailing system. Next, an option to make our own chat room would be great! Many times two group of people tend to love or fight each other so much that other people tend not to interfere. Having an option to create a chat room for them would spare GC from the assault and those who want to be part of the chat could be invited in it. Play as you wish! This is a sandbox game. You can be anything you like! Just make sure you make friends on the way to the top — and not enemies. And, of course, in case you guys need anything there are awesome people in GC waiting to help you guys! (Rillbot is 24×7 available 😛 ) At the end of this I just want to thank you all, and I feel lucky to be part of such a great community. Thanks to Mohit for accepting the nomination and for taking the time to answer our questions!